One of my favorite board games as a kid was Moustrap, a Rube Goldberg-like game with plenty of moving parts and lots of cheesy goodness.The Iron Mousefor iPhone, developed by EMOBI GAMES JOINT STOCK COMPANY, speaks to that child-like part of me that loved games with tons of moving elements and cute characters. 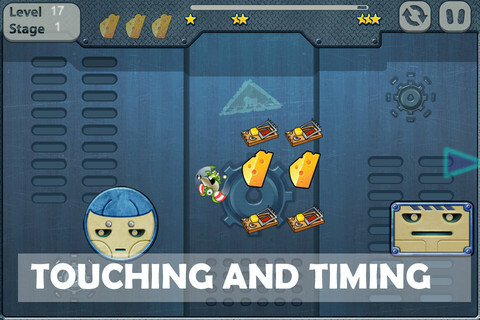 In The Iron Mouse, you play a mechanical mouse that’s jonesing for some cheese. What a robot mouse needs with cheese is anyone’s guess, but you need to grab all the cheese you can if you want to progress to the next level. Along the way, you face challenging obstacles and of course some mousetraps, too. Oh, and there are some pretty gnarly robot cats you’ll need to escape from as well. Drawing on the feel of classic action arcade titles, you need to make your mouse jump from one platform to the next using the intuitive, simple touchscreen controls. 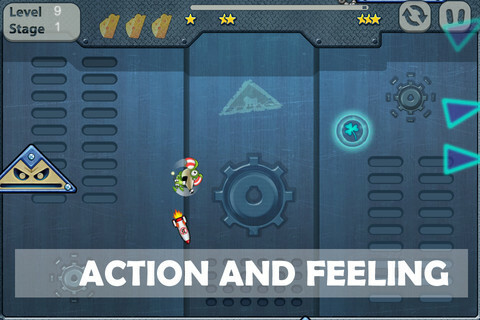 You need to have precise timing to make some of the jumps, so prepared to feel addicted and annoyed in equal measures. The Iron Mouse is a lot of fun, particularly if you like puzzles with a bit of action thrown into the mix. 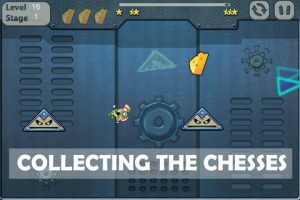 While most of the cheese grab strategies are pretty obvious, some of the later levels prove more challenging. 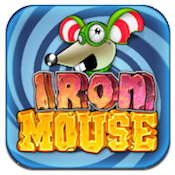 The Iron Mouse includes 2 game stages with a total of 40 levels. So, for a buck, you’re getting a pretty decent amount of gameplay, especially given how cute that little mechanical mouse is. The graphics are pretty basic, but they’re more than equal to the task of the game’s demands. 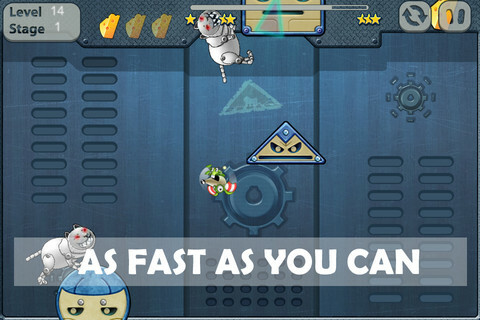 The long and short of it is this: The Iron Mouse is a cute little iPhone timewaster. If you like old school arcade games, then the style and substance of this mousy little iPhone game will surely appeal to you. The Iron Mouseis compatible with iPhone, iPod touch, and iPad. Requires iOS 4.3 or later.A small expedite fee was paid by the developer to speed up the publication of this iPhone game review.